When someone mentions "limb regeneration," thoughts tend to float toward salamanders and their renewable tails. 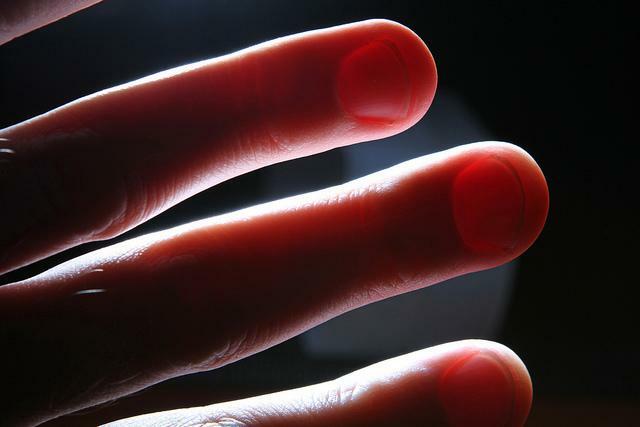 However, mammals, including humans, can regrow body parts too, namely finger tips. Take the curious case of Deepa Kulkarni. Following an unfortunate door slamming incident, the California-based Kulkarni nearly lost hope after doctors said her fingertip couldn't be reattached, according to CNN. Kulkarni sought the second opinion of Dr. Stephen Badylak, a University of Pittsburgh doctor who claimed he could regrow detached fingertips using a wound powder called MatriStem. Dr. Badylak treated Kulkarni for seven weeks with MatriStem and the fingertip returned. Kulkarni's finger was likely salvaged because part of her fingernail remained intact. This is according to findings from a study led by Dr. Mayumi Ito, a stem cell biologist and dermatologist at NYU's Langone Medical Center. Ito and her colleagues discovered a new group of stem cells in fingernails that promote the regeneration of amputated fingertips in mice, but this process normally requires a piece of the nail to be intact. Nail stem cells were potent promoters of healing in these experiments, and could even stimulate the regrowth of bone within a few weeks. Further examination showed this was due to the structural tissue around the nail producing a family of proteins called "Wnts" — pronounced "wints" by scientists. In the presence of Wnts, the fingernail stem cells recruit the help of nerve cells to produce growth-promoting chemicals that renew the bone and tissue in the fingertip of mice. But Ito and her team wondered if they could take this a step further and regenerate ends of fingers, even if most of the Wnt-producing tissue near the nail was removed. Amazingly, by genetically forcing the remaining tissue to produce Wnts, the team was able to restore the bone and connective tissue in the fingertip. These findings suggest nail stem cells and Wnt proteins are sufficient for limb regeneration. While restricted to experiments in mice, they offer clues into how scientists can help millions of amputees across the globe. More than 60 percent of lower-limb amputations are caused by diabetes, with nearly 66,000 appendages lost each year. Trauma is another huge contributor to amputations. U.S. congressional research shows the current wars in the Middle East have led to 1,200 amputations, but World War II still ranks the highest among modern conflicts, with nearly 7,500 limbs lost. Source: Takeo M, Chou WC, Sun Q, et al. Wnt activation in nail epitheliumcouples nail growth to digit regeneration. Nature. 2013.